Melt the butter in a small saucepan and simmer until butter is brown, being careful to not burn it. Swirl the pans a few times as it simmers. Once butter is brown, squeeze lemon juice in and stir. Add capers, stir and remove from heat. Pat the scallops dry with paper towels. Make sure they are really dry before you begin heating your skillet. Season the scallops with salt and pepper. Add the olive oil to a stainless steel skillet or cast iron pan over high heat and heat until smoking. 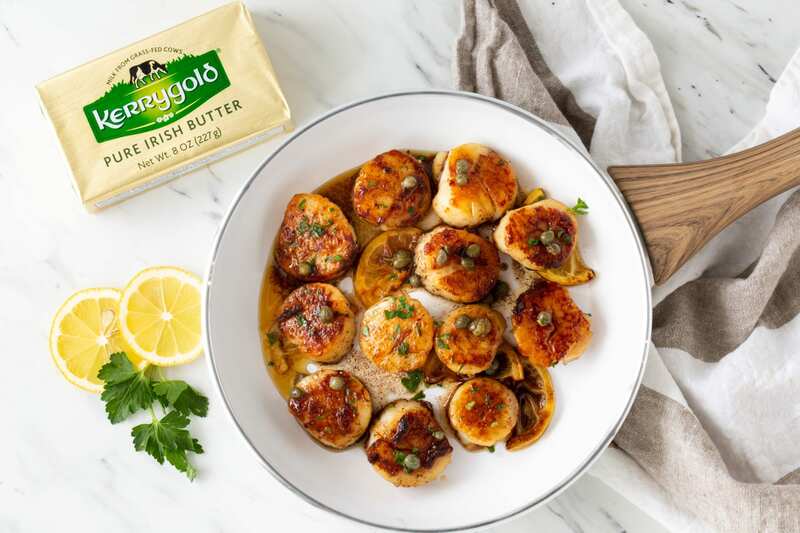 Add scallops to skillet and make sure they don’t touch. Sear for 2 minutes and flip over. Sear for additional 2 minutes or until opaque.